Assassin Creed Fans the First Downloadable Content is Available Today for Season Pass Holders. 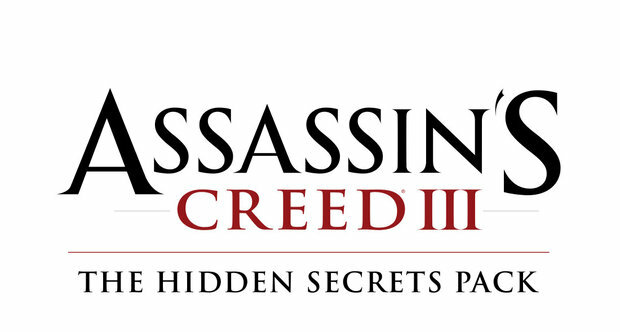 Ubisoft announces the first downloadable content pack Assassin’s Creed III, The Hidden Secrets, is now available for Season Pass holders for the Xbox 360, PlayStation 3, and Windows PC. The Hidden Secrets Pack will be available for everyone else on December 11 via the Xbox LIVE for Xbox 360, PlayStation Network and for Windows PC. The Hidden Secrets Pack will release for the Wii U system from Nintendo at a later date. The Assassin’s Creed III Season Pass grants access to all five upcoming downloadable content packs including The Hidden Secrets to gamers owning the original game. The Season Pass provides more than 25% savings versus purchasing the DLC separately. Assassin’s Creed III Season Pass will be available for purchase for 2400 Microsoft Points on Xbox LIVE or $29.99 on the PlayStation Network. It can be pre-ordered at GameStop and Best Buy. Assassin’s Creed III is now available on PlayStation 3, Xbox 360 and Wii U. For Windows PC gamers, the Assassin’s Creed III Deluxe Edition is available as a digital download and includes all future downloadable content.